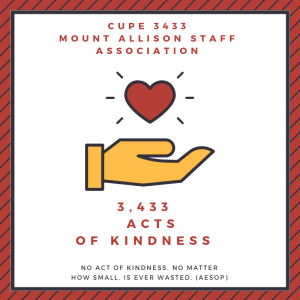 CUPE Local 3433 represents approximately 140 employees who work in secretarial, clerical, and technical positions at Mount Allison University. Our goal is to work with the Mount Allison administration to ensure a safe, fair and desirable place to work. Our doors are always open, please feel free to contact us anytime. Our 3,433 Acts of Kindness Campaign is in full swing! 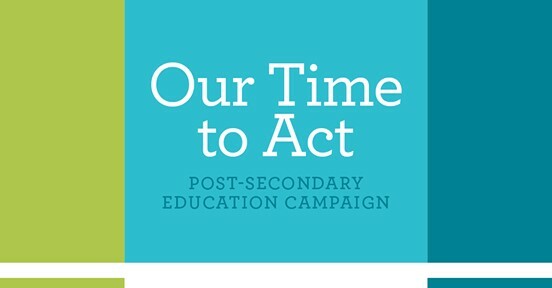 After years of government under-funding, access to high quality post-secondary education is at risk. Find out what can be done and find out what you can do about it by clicking the picture!